KCR has been asked to furnish his reply by April 12 evening, failing which the Election Commission will take a decision without any further reference to him. 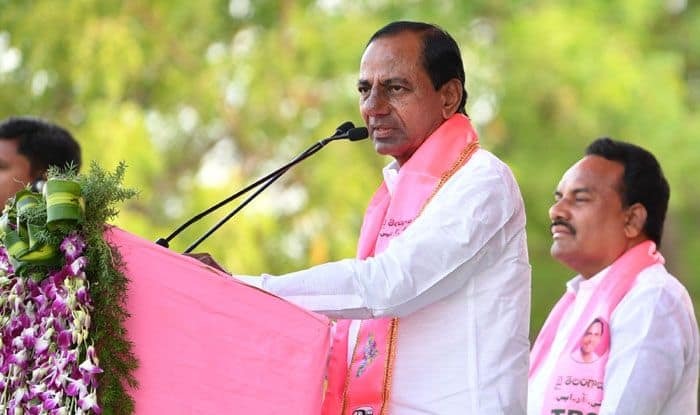 The Election Commission has issued a show cause notice to Telangana Chief Minister K Chandrashekhar Rao, finding him prima facie guilty of allegedly passing derogatory remarks against Hindus while addressing an election rally in Karimnagar last month. Now, he has been asked to furnish his reply by April 12 evening, failing which the Commission will take a decision “without any further reference to you”. The Commission has produced his remarks in Telugu but did not give English translation of the same. “… the Commission is, prima facie, of the opinion that by making the aforesaid statement which has the potential of disturbing the harmony and aggravating existing differences between social and religious communities, and appealing to communal feelings, you have violated the … the Model Code of Conduct,” the notice served Tuesday said. The poll panel reminded Rao of the provision of the poll code which states that no party or candidate shall indulge in any activity which may aggravate existing differences or create mutual hatred or cause tension between different castes and communities, religious or linguistic; and prohibits appeal to communal feelings for securing votes. The model code came into force on March 10 when the schedule for the seven-phased Lok Sabha elections was announced.